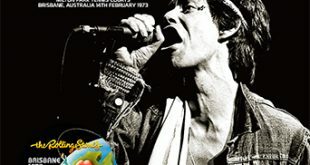 The entire Stones set has been pressed previously on One Day Before Altamont (Shaved Disc TSD 024), Palm Beach 1969 (Idol Mind IMP-CD-042) and Miami Pop Festival (Vinyl Gang VGP-117). Palm Beach 1969 Off Reels is Idol Mind’s second release of this tape. Just like their set with George Harrison’s 1974 Nassau Coliseum shows, this is a marked improvement over past releases. It is expanded to contain several numbers from the other acts and also sounds as if it comes from the master reels. Unfortunately the speed problems are also present. They can sometimes be heard on the first disc during the other act’s songs. 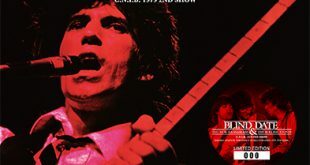 On the second act they begin while the Stones are playing “Sympathy For The Devil” and escalate from there. 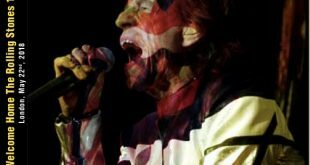 By the middle of the Stones’ set they become most noticeable and quite unbearable. 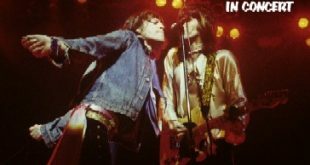 It is a shame because it is a great vintage Stones performance and certainly deserves a better recording. Hopefully someday a soundboard would surface. Or at least a better audience tape. Until then, the problems needs to be endured by anyone who wants to experience a magic performance. 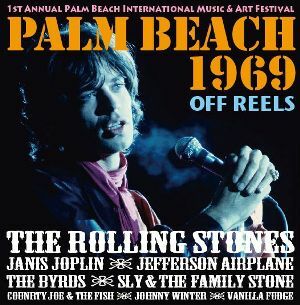 Palm Beach 1969 Off Reels comes packaged in a special “duo” jewel case with obi strip. The jewel case is an interesting variation. But ultimately this is a bit of a disappointment to those who were hoping for a definitive recording. The original Idol Mind label is said to have been a precursor to the old VGP label. 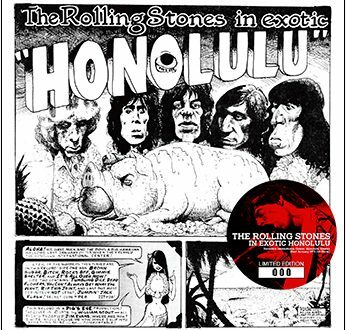 The current Idol Mind label is mostly famous for reissuing classic Stones’ shows with digital/computer remastering. Can’t say I’ve picked up very many of the new Idol’s releases. This title is a perfect case in point. Other than the first disc of other artists’ performances, this release offers nothing new. Unfortunately the tape speed fluctuations remain, making this release only for those with extra money to burn. I was so close to buying this title, but sadly it’s just another Idol Mind release to skip for the Rolling Stones enthusiasts who’ve had this material in similar quality for years.